The Mapping Network and their nationwide group of partners receive many calls each week about sediment issues on lakes. More often than not, these callers have a fairly good idea about the state of their lake from simply looking at if from the shore on while on the boat. However, trying to quantify the severity of sedimentation and planning for a potential dredging project is much more difficult. This is where our experienced teams come into play. We have the tools, knowledge and experience to accurately survey the current lake depths along with mapping the sediment thickness in the lake. Below is an example of a lake that had sediment accumulating in the usual spots (inflows) however there were a couple other problem areas where new homes had recently been built. The HOA used this map to plan for dredging in the main inflow of the lake and also created a bulletin to property owners about the importance of controlling erosion into the lake – eventually this will lead to more dredging in the future. 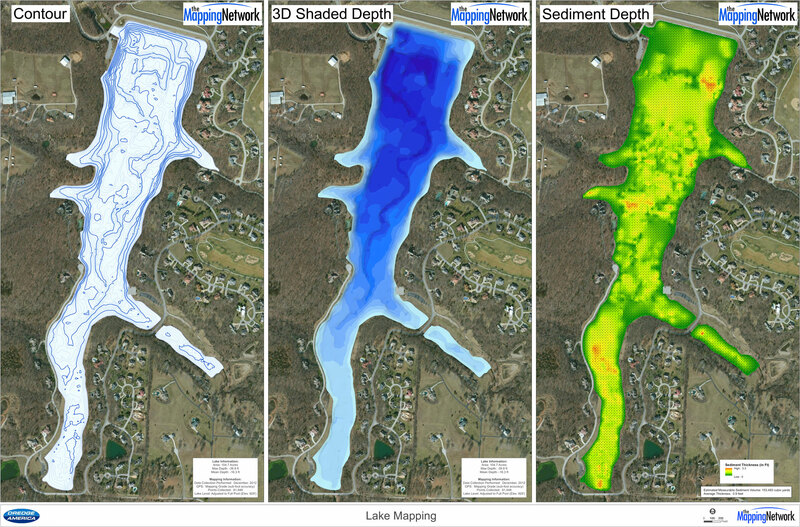 A lake surveyed by The Mapping Network included creating a contour and 3D shaded depth map of the current lake depths. 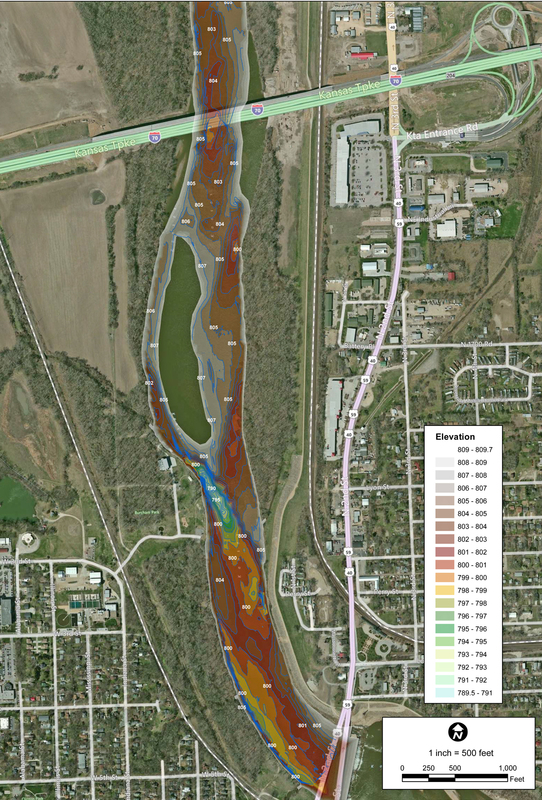 Also a sediment thickness map of the entire lake was generated. 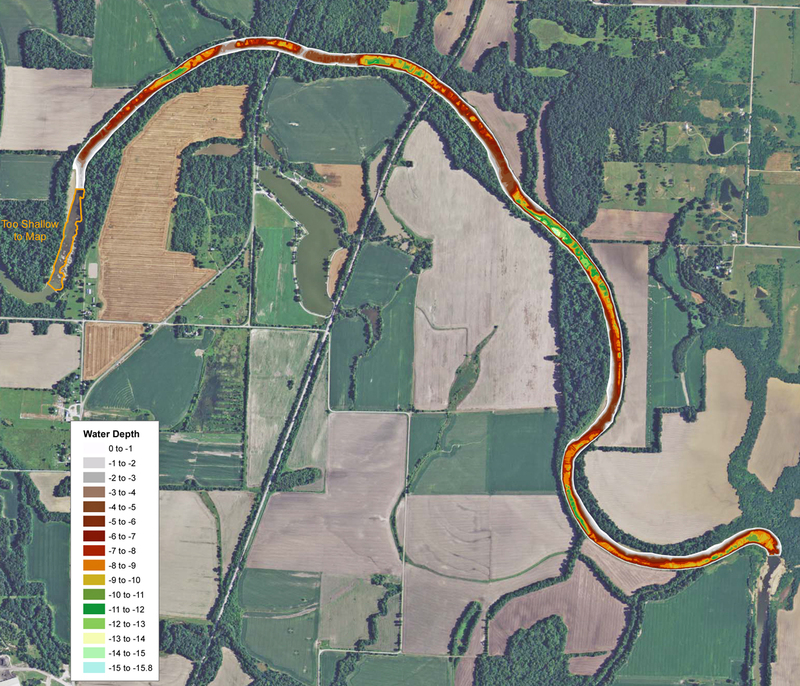 The client was able to visualize where dredging will take place and also quantify the amount of material needing to be removed. 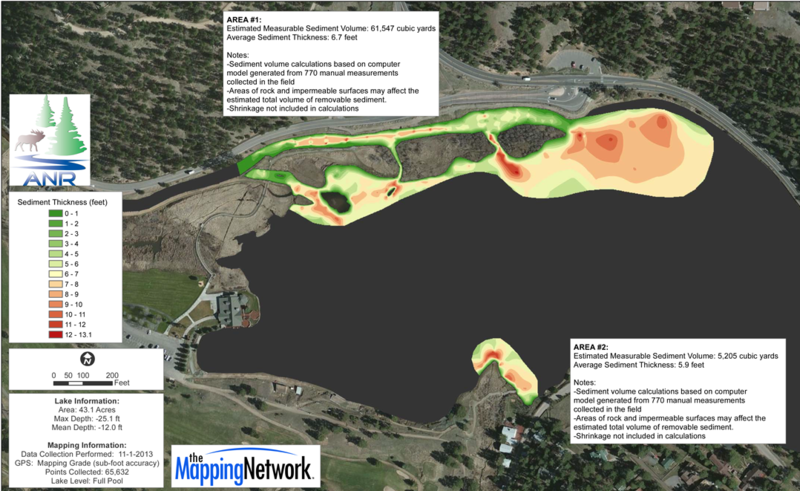 The Mapping Network is instrumental in bringing GPS lake mapping technology to the recreational market. Their experience wit the most efficient GPS and sonar technology allows their partners, like us, to offer these unique services to our clients. 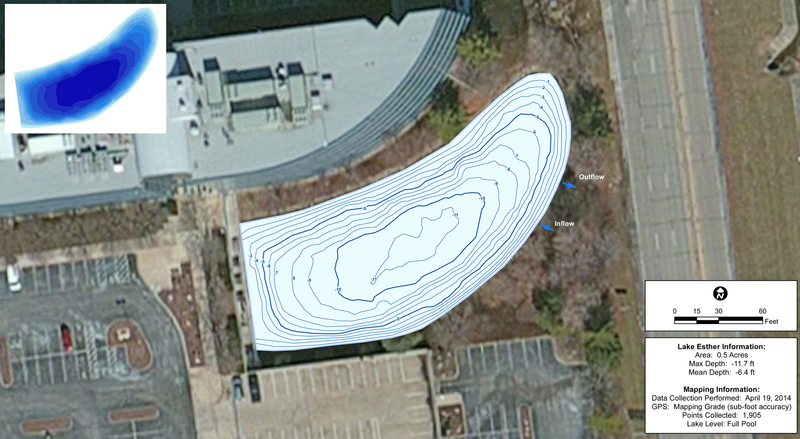 Pond Medics utilizes this lake mapping technology to reveal this unseen, underwater world. 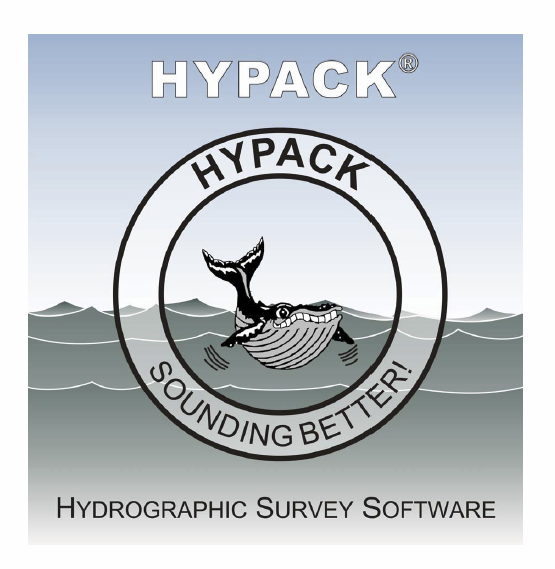 Combining sub-foot accurate equipment and depth accuracies of up to 1/10th of a foot, we can produce a picture of what few people will ever see – the bottom of your lake. This entry was posted in Lake Map and tagged Bathymetric Map, dredge america, dredge cost, dredge map, Dredging, Fishing, GIS, GPS, GPS Lake, GPS Map, kansas lake map, kansas sediment map, lake, Lake Management, Lake Map, Lake Mapping, Lake Survey, Land Mapping, map, missouri dredge map, Missouri Lake Map, missouri sediment map, Pond, Sediment, Sedimentation, Survey, Texas Lake, The Mapping Network on February 17, 2014 by Moderator. A case study of Lakeside on Preston HOA in Plano, TX by Trent Lewis with Pond Medics, Inc. is featured in a North Texas Homeowners Association publication. This is a must read article for landowners, managers, or HOA/POA organizations with upcoming dredging projects. This entry was posted in Lake Map, Sediment and tagged Bathymetric Map, Dredging, Fishing, GIS, GPS, GPS Lake, GPS Map, lake, Lake Management, Lake Map, Lake Mapping, Lake Survey, Land Mapping, map, New Jersey Lake, Pond, Pond Medics, Sediment, Sedimentation, Survey, Texas Dredging, Texas Lake, The Mapping Network on February 12, 2014 by Moderator. The 2013 Colorado floods were a natural disaster resulting from heavy rain and catastrophic flooding. The impact from this event was a large accumulation of sediment in the areas reservoirs. One of these lakes near Denver had a remarkable amount of soft sediment and rock deposited into the lake. In order to receive funding for removal of this new sediment, the ownership of the lake was required to provide quantitative proof. Absolute Natural Resources and The Mapping Network used professional GPS and sonar equipment to survey the existing lake bottom and also locate the original lake bottom. Our team generated current lake contour maps, sediment maps and also isolated the main problem areas. 3D models of sediment were created to calculate the amount of material needed to be removed. The end result provided the lake owner the exact information needed to quantify the amount of sediment that needed to be removed and aid in the bid process for removal. This entry was posted in Lake Map, Sediment and tagged Absolute Natural Resources, Bathymetric Map, Bathymetry, Colorado Bathymetry, Colorado Dredge, Colorado Lake Map, Colorado Sediment, Dredging, GPS Lake, GPS Map, Hunting Land, hydrographic survey, Lake Management, Lake Mapping, Lake Survey, Sediment, Sedimentation, The Mapping Network on February 6, 2014 by Moderator.